Horse rescue is not for the faint of heart. There are upwards of 1,000 horse rescues currently in operation in the United States alone. Providing a second chance for abused, neglected, outgrown and unwanted horses is hard work. Like many small businesses, most don’t make it past their first five years. Financial pressures, hay shortages, lack of space and stress over truly horrific abuse cases are just a few of the factors that cause many rescues (and rescue directors) to close their doors. Which makes it all the more remarkable that Spring Creek Horse Rescue turns 40 this year. Diane McCracken, the rescue’s executive director, began taking in horses in 1976 for rehab and rehoming. Spring Creek gained its official nonprofit certification in 2005 after it had already been in operation as a private local rescue for 30 years. The rescue has moved several times over the past four decades, but now Spring Creek is celebrating its 40th anniversary on a new, permanent piece of property in Durango. A very kind benefactor purchased this property for the rescue, but the former owners only had two horses, so to get set up for more than 20 horses is requiring “help from the whole village!” says McCracken. Volunteers have spent hours cleaning irrigation ditches, clearing brush and trees, setting up fence panels to make paddocks for the horses, putting in new water lines and more. To help with their new property setup, Spring Creek is currently running a “Panel Challenge,” in which local individuals and businesses, including Alpine Bank, Tafoya Barrett and Associates, Westmeath Foundation, Agritek, Cindy Morin, Kathleen Rider and Tammy Bonds, are donating and challenging one another to meet their goal to acquire 1,000 fence panels to fence a large portion of one of Spring Creek’s currently unusable pastures. Total donations so far stand at 27 panels. Especially this time of year, Spring Creek absolutely relies on community support. It’s great to see how some of the local businesses are starting to jump in to help. If you or your business would like to participate in the Panel Challenge or to volunteer, you can learn more on Spring Creek’s website at www.springcreekhorserescue.org. Tax-deductible donations can be mailed directly to the rescue (marked “Panel Challenge”) at 2888 CR 234 Durango, CO 81301. Other needs include help with building a new barn, donations for vet bills, hay for the La Plata County hay bank that provides hay for folks who are unable to feed their horses and, of course, horse adoption. There are currently 24 horses on site including younger and gentle older horses that would love a forever home to retire to. Jenni Patterson is a volunteer trainer at Spring Creek Horse Rescue. Reach her at springcreekhorserescue@yahoo.com. Spring Creek Horse Rescue Spring Creek Horse Rescue is enetring it's 40th year of operation from its new facility on County Road 234. Spring Creek Horse Rescue is enetring it's 40th year of operation from its new facility on County Road 234. 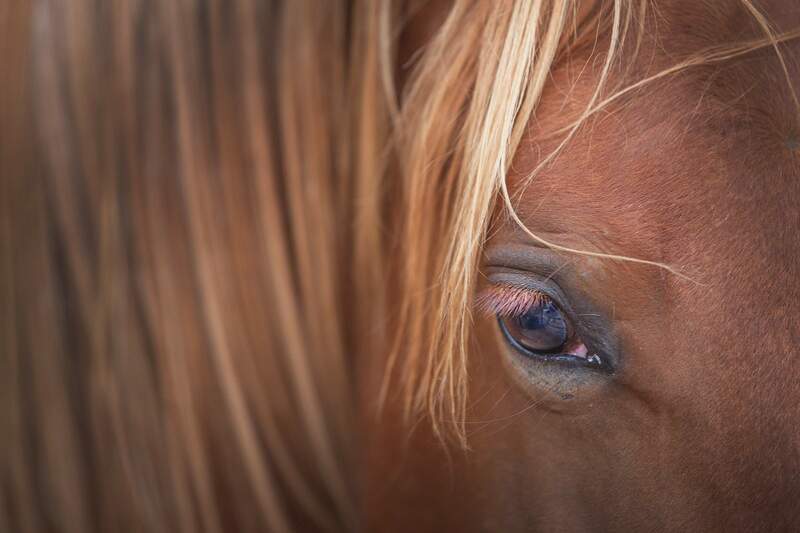 A closeup of a horse in a pen at the Spring Creek Horse Rescue facility on County Road 234.